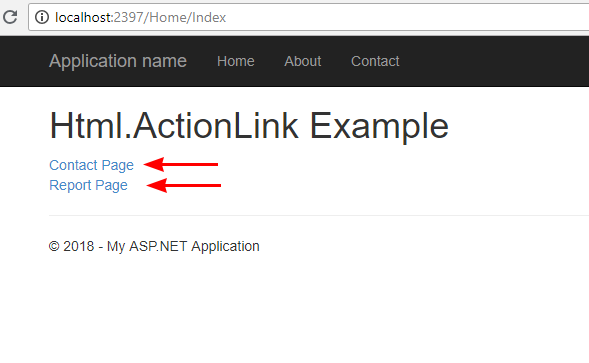 What is Html.ActionLink helper method in ASP.NET MVC5? Html.ActionLink is used for creating hyperlink. This action method renders hyperlink in html pages but it redirect to action method not directly to view pages. As you seen that Html.ActionLink is used for rendering hyperlink in html. It doesn't point to view page directly instead of it points to action method. In the next chapter, you will learn Html.RouteLink in ASP.Net MVC 5.